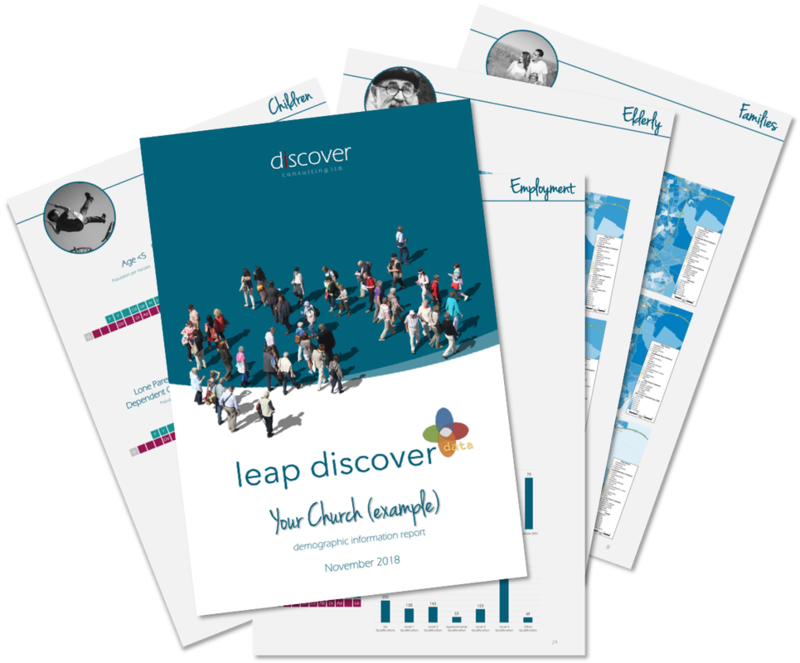 Leap Discover data is a demographic information report and is part of the broader Leap Discover programme. One of our tailored reports will help you understand the demographic makeup of your community. It can help define church mission strategies and identify the potential ‘market’ for social initiatives and outreach. Leap Discover Data from Leap Discover on Vimeo. Are you shaping local mission vision? Do you need more information to better understand your context? …starting up a new church-run enterprise? Is there "market" for it? ... or making a grant application? Need hard facts and data to justify ​your business case? Based on the demographic data of your chosen catchment area, Leap Discover Data quantifies and locates your potential target group. Data is one of the most essential things to inform mission strategies, demonstrate need, influence decision makers and formulate business cases and fundraising strategies. Where is your target public living in Town in town does your target group live? When planting a church or starting up a new ministry, it’s wise to know where the people that you have a sense of call to bless are living in town.